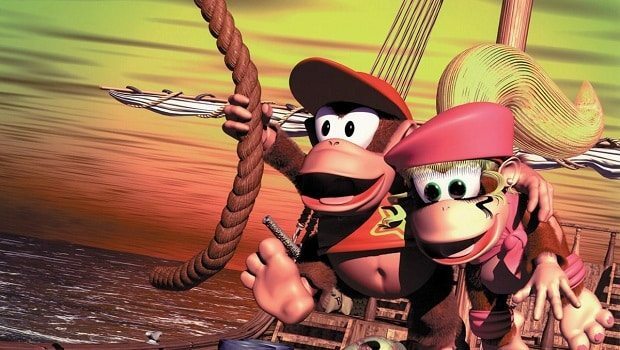 The Donkey Kong Country trilogy will be removed from the Virtual Console service next week, Nintendo have confirmed. Such news was announced through a notification delivered on the Wii Shop Channel, stating that they will be unavailable to purchase from the service on November 25th. This includes Donkey Kong Country, Donkey Kong Country 2: Diddy’s Kong Quest, and Donkey Kong Country 3: Dixie Kong’s Double Trouble, and will affect both Europe and North America. Nintendo have provided no indication as to why this is happening, nor whether they will be re-added to the Virtual Console at any point in the future.